The Manchester Collective is a new chamber music group and for the group's forthcoming concert, Intimate Letters, it is pairing Janacek's String Quartet No. 2 'Intimate Letters' with a new piece by Huw Belling Inside Mr Enderby based on the novel of the same name by Anthony Burgess, in celebration of Burgess's centenary. Australian baritone Mitch Riley joins members of the collective to perform the programme in Sheffield (23 March), Liverpool (24 March), Manchester (25 March) and at the International Anthony Burgess Foundation (26 March). I caught up by telephone with Adam Szabo (the group's artistic director and general manager) to find out more. 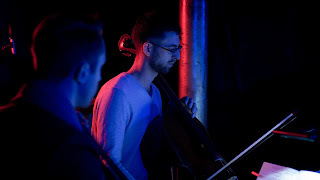 The Manchester Collective was formed last year and 2017 is its debut season, with Intimate Letters being the group's second project (the first was Transfigured Night pairing Schoenberg with Cage, Purcell and Taverner), The group's aim is to bring a greater variety of chamber music to North West England, an area rich in orchestral music but with fewer opportunities to hear top level chamber music. 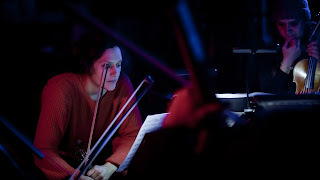 The Manchester Collective is a flexible ensemble of players drawn both from orchestras in the North West and from further afield. The forces change from project to project, but the ensemble aims to build up a core group of players. 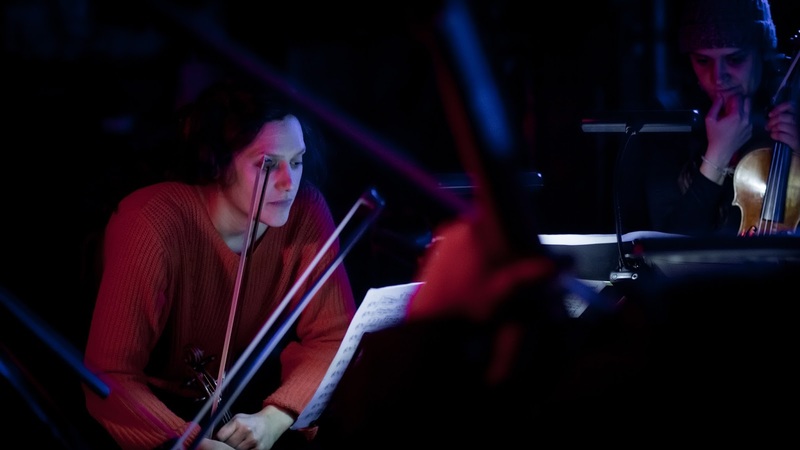 With 2017 being Anthony Burgess's centenary, the ensemble has teamed up with the International Anthony Burgess Foundation to commission Inside Mr Enderby from the young Oxford-based Australian composer Huw Belling. This is the first in the collective's major annual commissions. The words for Inside Mr Enderby were taken by dramaturg Pierce Wilcox from Anthony Burgess's novel. The piece forms a character sketch describing the Enderby, who is a tragi-comic character who writes poems on the lavatory. The piece will be performed by baritone Mitch Riley with a string quartet comprising of Rakhi Singh, Simmy Singh, Lisa Bucknell and Adam Szabo. Riley is also an actor and comes from a physical theatre background, so Adam assures me that we can expect anything but a concert performance. There are four performances of the programme culminating in one at the International Anthony Burgess Foundation, and tickets are selling well. One of the collective's features is that anyone with a valid student card can get into the concerts free, and the tickets are released on the collective's website one week before the concerts. The collective aims to create a more relaxed atmosphere at the concerts, there is an open bar and the audience is encouraged to come along and chat to the musicians afterwards. They do not aim to make audiences enjoy every piece they play, but the believe in the music and its power to move and to change people. Concerts are played in the round with the audience extremely close, able to hear the music and see the players reacting to it. Programmes have been very well received so far, they are live-streaming all the programmes and 16,000 tuned in for Transfigured night, so the programmes seem to have struck a chord with audiences. They play in non-traditional venues and so Transfigured Night was in an abandoned cotton mill and combined Schoenberg and Cage. The collective was a bit worried about the reaction of the audience to this challenging music, but in the event they were blown away. Adam sees the general problem as being with the classical concert format rather than the music itself, and feels the group's approach is helping to generate a new interest. The problem is that we are bombarded with music designed for a short attention span, and the collective aims to get the audience to sit down and really engage with the music. Many of the young people in their audiences have never been to a classical concert before, and watching the players engage with each other and with the music was very much a way in to the repertoire. To help with this way in the group produces a listening app which audience members are encouraged to bring up on their phones, and the app takes them through the music real-time in a linear fashion, pointing out what to listen for. As Adam says, it isn't rocket science but it provides the tools to help find a way in. Intimate Letters also contains Janacek's second string quartet, which is based on the letters between Janacek and his much younger muse. Adam sees both works as being about love, Janacek's love for the younger woman and his delusion that a relationship is possible, and Enderby's delusional love for himself. 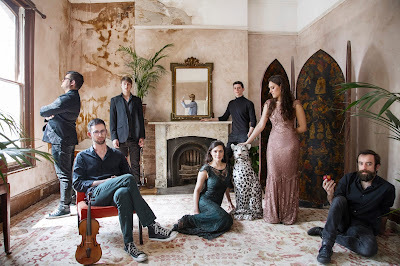 Further ahead, the collective has an accordion programme, with Bartosz Glowacki, in May, a programme of string quartets The Hunt, in July, cabaret in September and Messiaen's Quartet for the End of Time in December, They have up to 2019 programmed, and have a European tour to look forward to in 2018. Further information from the Manchester Collective's website.